At Stadco, we have a long history of supporting the railroad industry. 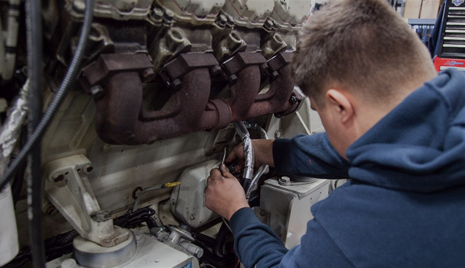 Even from our early days as a company, our products have delivered reliable diesel power to train locomotives and railcars. Our Railgen diesel generators are designed to provide power for the passenger railcar industry. Railgens are mounted under the railcar in a low-profile, silencing enclosure, while control systems are available to operate the generator from inside the car. They provide continuous, prime or auxiliary power up to 175kW, making them essential when head-end power (HEP) isn’t available. Stadco Railgens provide power car performance in under-car units. Both the Railgen Mark 5 and the Railgen HR lines are delivered as ready-to-install packages. Access doors, single-side maintenance, and optional roll-out tracks make service convenient. Above all, they’re designed for reliability and ease of operation and maintenance. Our various Railgen models are listed below. Please explore our product line and contact us if we can be of service to you. We look forward to providing robust, reliable railcar power to your organization. Please note that Tier 3 Railgens will cease production in 2018 and we will move to Tier 4 generators. You can find out more here. Railgen T3 Production Cut-off. 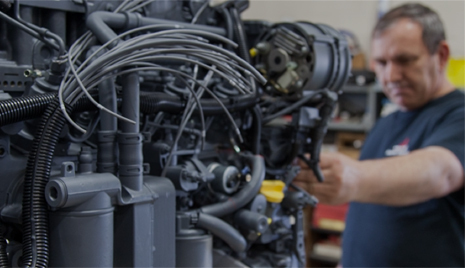 Learn more about our parent company, Stauffer Diesel, a leading East Coast distributor of high-quality diesel engines from Deutz and Mitsubishi.